Call 856-488-7868 or email Arts@CHTownship.com to reserve your tickets today! Croft Farm, 100 Bortons Mill Rd. This exhibit features original two-dimensional works in watercolor, pastels, oils and more. Croft Farm Arts Center, 100 Bortons Mill Rd. 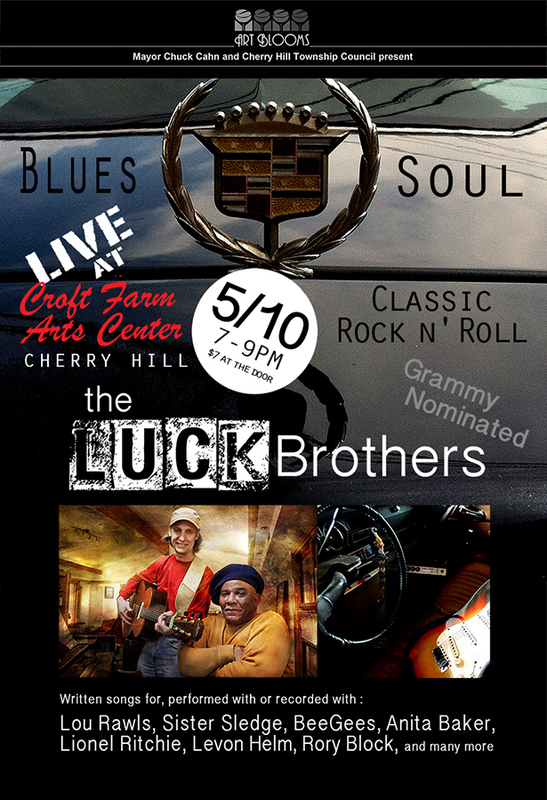 Don't miss this evening performance by The Luck Brothers as they bring you blues, soul and classic rock & roll. The band has written songs for, perfromed and recorded with lou Rawls, Sister Sledge, BeeGees, Anita Baker, Lionel Ritchie and more.